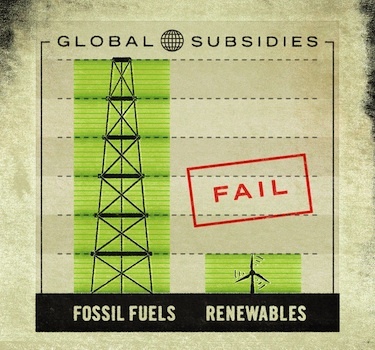 350.org Tell World Leaders to End Fossil Fuel Subsidies! | "Global Possibilities"
Home » Activism » 350.org Tell World Leaders to End Fossil Fuel Subsidies! 350.org Tell World Leaders to End Fossil Fuel Subsidies! Two weeks ago we joined a diverse coalition to launch an all-out offensive to end fossil fuel subsidies, and we weren’t quite sure how it would turn out. Well, we’ve currently got 958,422 signatures on our combined global petition — almost a million people strong! We’ll keep you posted on the next steps, but for now please help us reach the 1 million mark before the week is up: www.350.org/rio.